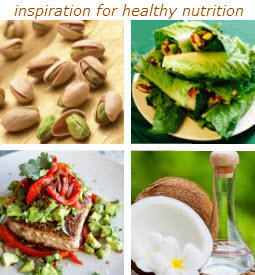 I have always been inspired by the power of food and its’ medicinal effect on health and wellness. My passion and love for food prompted my journey to begin studying Nutrition in more depth at a Masters level. I am a qualified Nutritional Therapist and registered Metabolic Balance practitioner® based in North Leeds. I work closely on a one-to-one basis offering a holistic approach to weight management and wellbeing. I recognise that we are all unique and what works for one may not work for others, which is why I use the Metabolic Balance® programme and Functional Medicine approach. I have been trained to ‘connect-the-dots’ to help clients achieve a better understanding of their health conditions and goals. I do not advocate diets. Instead, I aim to empower clients to make intelligent food choices that eventually become a natural habit of life. This is delivered through personalised dietary support, lifestyle changes, supplement recommendations and functional testing. 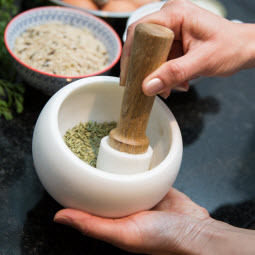 I also love hosting cooking, juicing and raw food workshops and seminars where I can educate those who are keen to manage weight and learn more about living a healthier, happier and energetic lifestyle. I regularly attend lectures and seminars to keep me up to date with the evolving research in this fascinating scientific field and I feel it is my purpose to share this knowledge in a friendly and informative way. 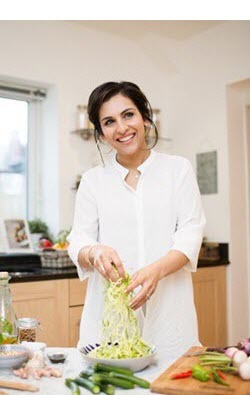 I love cooking and I am passionate about promoting better health through delicious and easy to make food especially when there are fussy little eaters and ravenous teenagers around!. I feel privileged to be working amongst experienced and specialist practitioners at the Broadgate Wellbeing and Chiropractic Clinic in Leeds. The Clinic is a beautiful oasis of calm, luxury and relaxation in the heart of Horsforth. I have clients locally in West Yorkshire and in the surrounding areas of Leeds, Harrogate, Ilkley, Wetherby, Skipton, Bradford, Pudsey and Huddersfield. Although I also work with clients in other areas, by phone and Skype.